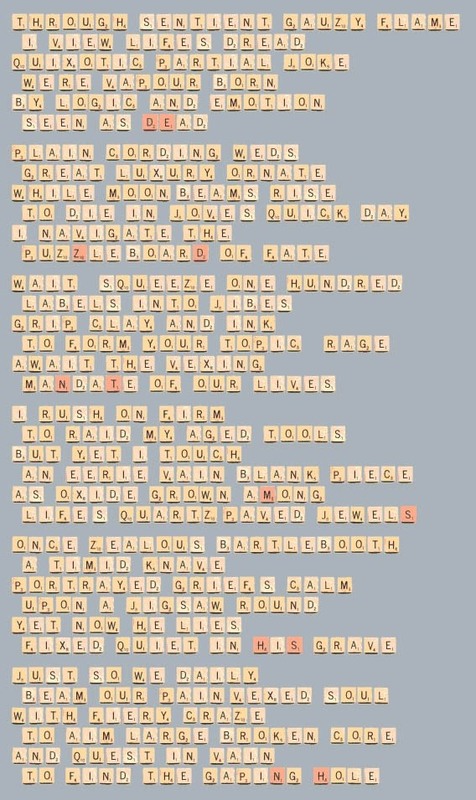 Now here's a challenge for the above-average Scrabble fan - can you create a good poem out of all the tiles, in iambic pentameter? The poem that's created here doesn't make too much sense, but it does sounds really pretty if you read it out loud. Interesting. Now... it would be really cool if those red blank tiles could all be thrown together and arranged to spell out the name of the poem!